Fferm Penglais is situated adjacent to Pentre Jane Morgan and across the road from the Penglais Campus, which can be safely accessed via a footbridge. 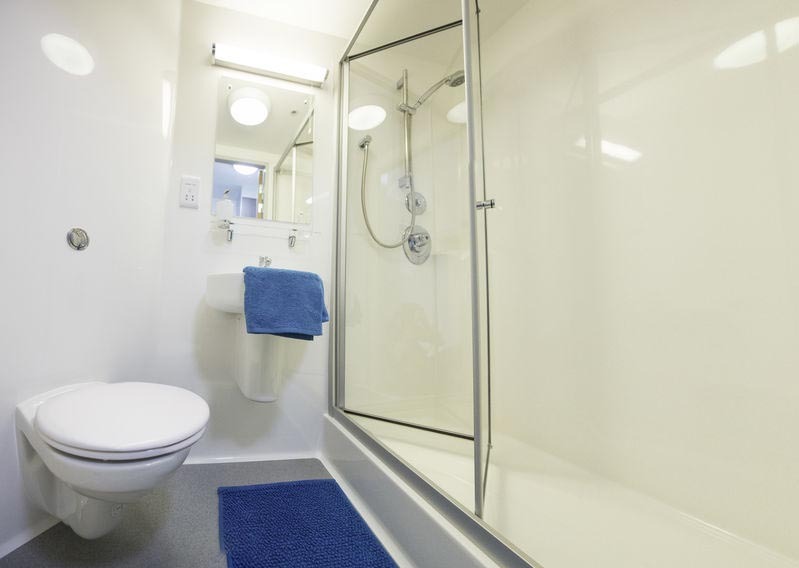 It offers you the very latest in purpose-built en-suite student accommodation. 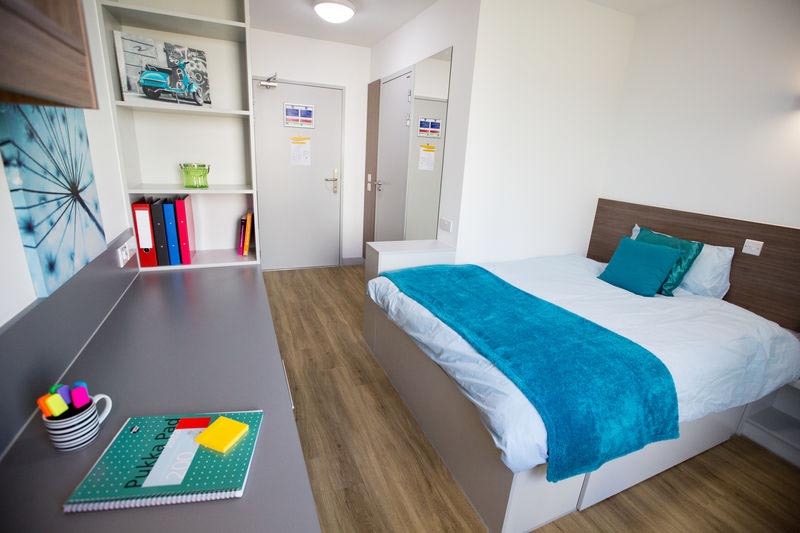 Located within easy walking distance of the University's academic buildings, the new residence provides a superb environment for living and studying with generous en-suite bedrooms and high specification studio apartments, including hard wired and Wi-Fi internet access. A convenient central service area provides café with pool table and 24/7 study areas, shop, vending, laundry rooms, bike stores, social and sporting facilities. 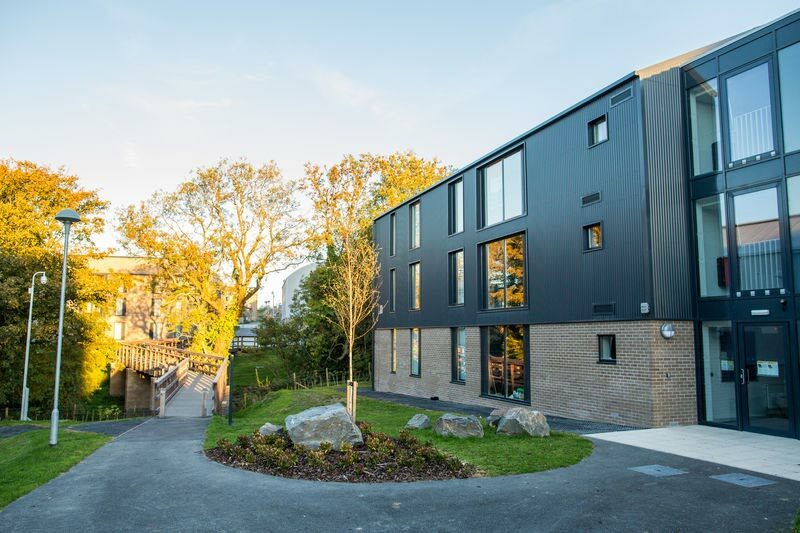 Fferm Penglais houses around 1000 students split between 22 blocks; 20 blocks containing en-suite rooms and 2 containing studio flats. Each block has either 6 or 9 self-contained flats comprising of 6 or 8 single bedrooms. Residents will have access to their own en-suite bathroom as well as a shared kitchen and soft seating area. 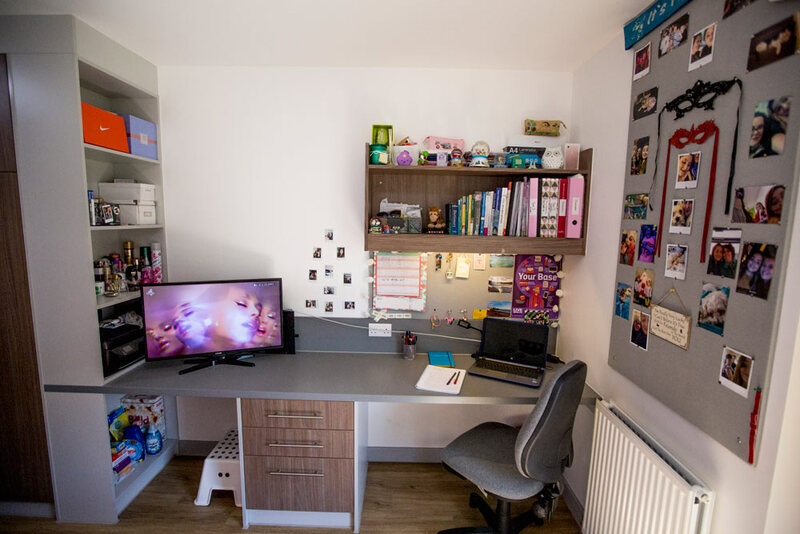 There is an area of accommodation located within the Fferm Penglais Student Residence dedicated for students who are Welsh learners or fluent Welsh speakers, and wish to live in a Welsh speaking environment. 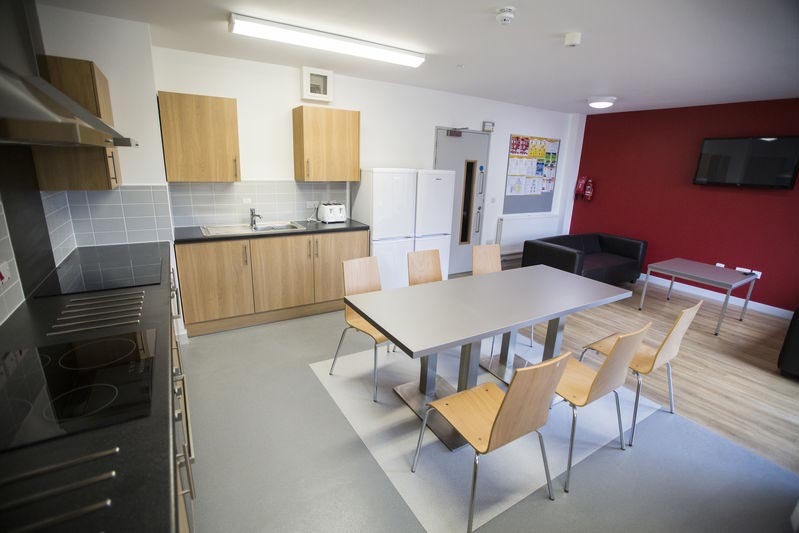 Students in Fferm Penglais are self-catering, sharing kitchens in self-contained flats. Wall mounted TV in every shared kitchen - TV licence included. Café with on-site shop, Wi-Fi, sofas, pool table & group study. Wash basin with mirror and shaver light. What’s in your Shared Areas? 2 x Ovens with grills. Bins - Dry mixed recycling, glass, food and general waste. Wall mounted flat screen TV with a DVD playing capability and aerial connection (TV licence provided). Please note the images used are examples of a selection of rooms and styles may differ between locations. (Please click on the images to see a larger version). Please note the images used are examples of a selection of rooms and styles may differ between locations. *From 10.00am on 21/09/2018 – 10.00am on 28/06/2019. Find out What's included in the Accommodation Fee?